On the one hand, Paydex enables real-time confirmation of payment results worldwide without network congestion. The payment process is simple, the operation is convenient, and the real-time payment and cross-regional features make the operation cost and transaction cost of using Paydex relatively low. Therefore, the entire payment cost will be greatly reduced correspondently. At the same time, Paydex launched the mobile wallet APP to implement the scanning code payment and NFC payment function, and has the payment experience of Alipay and WeChat payment. Providing a payment SDK for the merchant, the QR code can be collected on the merchant website and the payment result and the automatic delivery can be returned, and all the application scenarios of the global mall can be linked and paid. On the other hand, when using cryptocurrencies transactions, Paydex bypasses certain financial flow barriers from traditional banking systems and national borders through the Internet, especially when conducting cross-border trade. Funds transfer and payment only bear a small amount of fees. Saving money for merchants and customers. More importantly, Paydex uses the Proof of Burn consensus mechanism in the Vtoken core technology to reduce costs by technology, and allows each user to easily and fairly query the chain browser through the super node, achieving asset transparency and rejecting fake accounts. It is reported that the Vtoken public chain technology used by Paydex is a combination of Ripple, Stellar and graphene underlying technology. It is a banking-like system with the same trading gateway like Stellar between fiat and cryptocurrencies. It has a super high TPS. Value (transaction speed), better than EOS processing speed. The mainstream cryptocurrencies for global users has a wider range of payments, supporting the circulation and payment of cryptocurrencies assets in Vtoken, as well as global currency settlements based on cryptocurrencies. In the transaction process, each user is a clearing gateway, which can realize cross-border global currency and global distributed clearing. Each clearing gateway is an acceptor, and gets profits through circulation replacement. At present, cryptocurrencies are in a state of rise. Although the current cryptocurrencies are not perfect, many countries have begun to use cryptocurrencies as payment method. The choice of payment tools becomes especially important. Decentralization, peer-to-peer, and the inability to delete and tamper-proof are the premise of each transaction, and only then can it be safe and confidential. 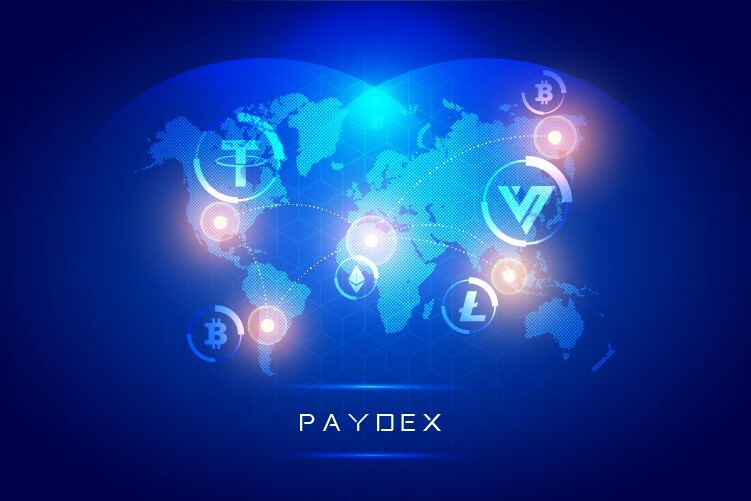 As the world’s leading cryptocurrencies payment tool, Paydex will take the global mobile payment users as entry points to create a real-time flexible settlement blockchain payment ecosystem to meet the needs of users’ payment, floor-to-business consumption, and online shopping, game platform consumption, various blockchain trading media and others.